Ladan Lotfi is a performer, dance teacher, and founder of Aftaab dance group in Toronto. She received ballet training in her childhood from Madame Yellena and pursued her passion for dance in Iran for thirteen years with Sepideh Bakhtiari. Since 2008, she has performed and directed several forms of Persian dance with her group in cultural occasions and events in Toronto. 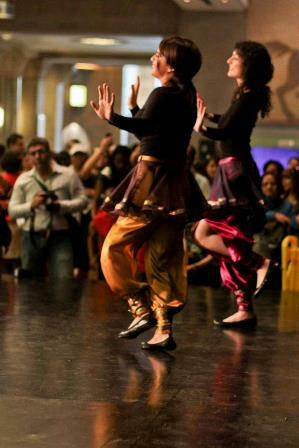 She has been the dance director of Iranian Heritage Weekend annual event at the ROM since 2011. Ladan will be presenting a duet with Iana Komarnytska on Bidad, a piece composed by the late master Parviz Meshkatian, and a solo spiritual (Erfani) dance at the Iranian Heritage weekend 2014. 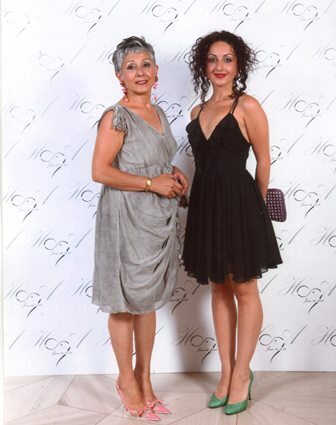 A former participant of Ishtar Dance Co (Ukraine) and Arabesque Dance Co (Canada), today Iana is a freelance artist. A winner of Star Bellydancer Canada 2014, Iana is also specializing in Turkish Roma and Persian dancing and she is cooperating with Aftaab Persian dance group to perform a duet at Iranian Heritage Weekend. A BFA dance graduate from York University (2014), she is often invited to work for various TV and movie projects. “Kamand is a newly-founded Iranian Dance trio, directed by Ida Meftahi, a choreographer, performance historian, educator and a protégé of Fazabneh Kaboli. Kamad’s members are Bahare, Elmira and Neda. Their repertoire is enriched by a wide range of Iranian movement motifs, qualities and expressions. They have performed at Norooz celebration at York University and at Iranian Heritage day at ROM in 2013 as well as other Iranian festivals. 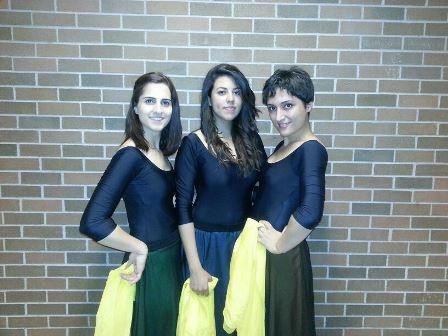 Aftaab is a Persian dance group founded in Toronto in 2009 by Ladan Lotfi. 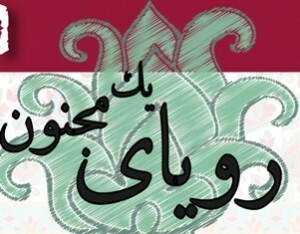 Aftaab aims to showcase the beauty of traditional, folklore and contemporary Iranian dance for the Canadian community. To pursue their goal, Aftaab dancers have performed in many cultural and social events including Iranian Heritage Weekend since 2011. Aftaab is performing a duet on Bidad, on a masterpiece by the late Parviz Meshkatian in this year’s Iranian Heritage Weekend at the ROM. Mayn Zard Group (Dancers: Mostafa Nosraty, Omid Zaroorian, Sohila Dashti, Farahnaz Bahrami, Hanieh Taghizadeh, Ashkan Lahoori, Reza Delavari, Parisa Alizadeh) performing a mix of folk and modern Kurdish dance, directed and choreographed by Mostafa Nosraty. Also, the work includes a solo dance by him. Mayn Zard Kurdish Dance Group was founded in 2010 by Mostafa Nosraty following his dream and vision to showcase the beauty of Kurdish dance to the world and to help preserving this ancient and original art. 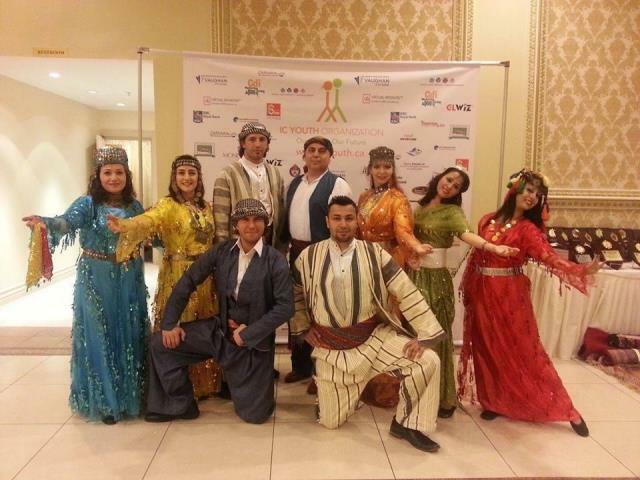 The group presents varieties of dance styles from all parts of Kurdistan and Kurdish regions. 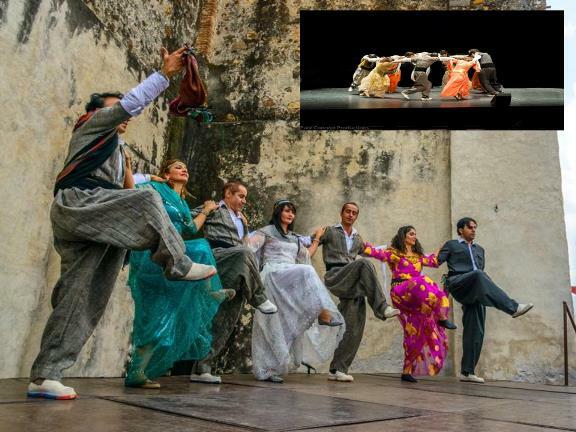 They combine original and old styles of Kurdish dance with completely new moves that are creatively re-choreographed, refreshed and rearranged for stage performances. “Farkha” is one of the new created styles by Mostafa Nosraty presented at IHD 2014. Established in August 2012 by Golnesa and Mahshid Amani, Boostan Multicultural Collective was founded as an initiative encouraging collaboration and constructive dialogue among the various groups and individuals who make up our community. BMC began its investment in creative programming with the ‘Traditional Persian Storytelling for Youth’ workshop. This workshop series is known for providing an artistic environment that highlights traditional Persian oral heritage and its poetic manifestations of expression. Last year, BMC successfully hosted a storytelling workshop for the ROM’s Third Annual Iranian Heritage Day Kids Zone. This year BMC is presenting traditional Persian dances and songs, along with teaching patrons the age-old game, Amou-Zanjir Baf. The story of this dance is inspired by Leily O Majnun, the masterpiece of Nizami Ganjavi, who popularized the story dramatically in Persian literature. The story of the two lovers serves as a wonderful metaphor for the soul and its longing for God. The lovers are not allowed to meet. Majnun, the Madman, is self-destructive and is driven to madness by his forbidden and unattainable love for Leily. He roams naked in the wilderness and dwells among the beasts. In part one, Majnun dreams of being on a secret date with his beloved. They recite poetry to each other from afar. In part two, Majnun rises from his dream and realizes the reality of his hopeless and unattainable yearning for his beloved. The Araz Dance and Music Group established in Toronto in 2006 by Samad Pourmusavi. The group performs Azerbaijani dance and music. They participate in diverse cultural activities across the GTA and strive to make our city a more enjoyable place through their performances. The Araz Dance and Music Group also have ongoing performances at the Toronto Turkish Festival, the Carassauga Festival and various other community events.